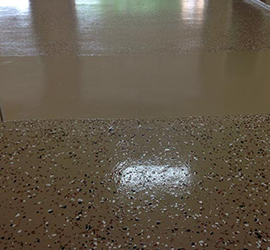 Garage floor epoxy coating kits are an easy, affordable way to get the best looking epoxy floor finish at a fraction of franchise company or contractor prices. Unique industrial grade formulation provides a permanent solution that won't chip or peel off like standard deck paints! 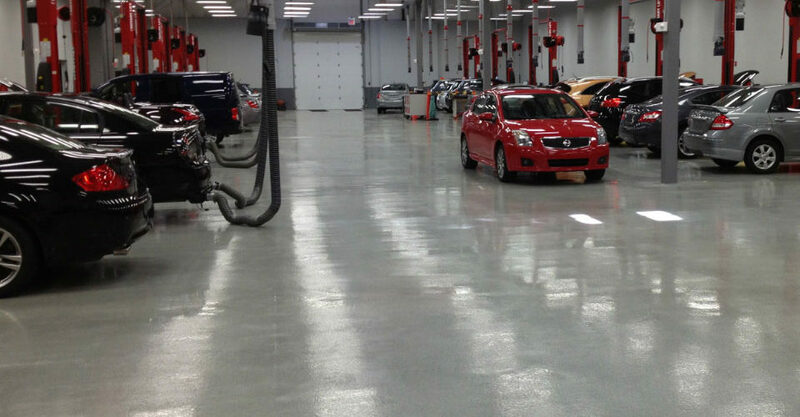 Best Garage flooring, Epoxy Flooring, Deck paint and Roof coatings! ArmorGarage has you covered from the basement to the roof and even out to your decks for your home and business. Why does everyone from home owners to every branch of the US military buy from us? Because ArmorGarage epoxy flooring products are superior in quality in every way possible and we offer great customer service! 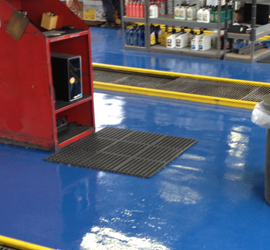 Our Garage Floor Epoxy coatings are the only ones guaranteed against wear! 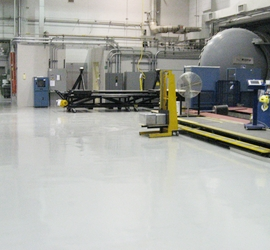 We also have one of the largest selections of epoxies available, from commercial grade, military grade, acid resistant to specialty epoxies that can be applied to just about any floor surface and traffic. 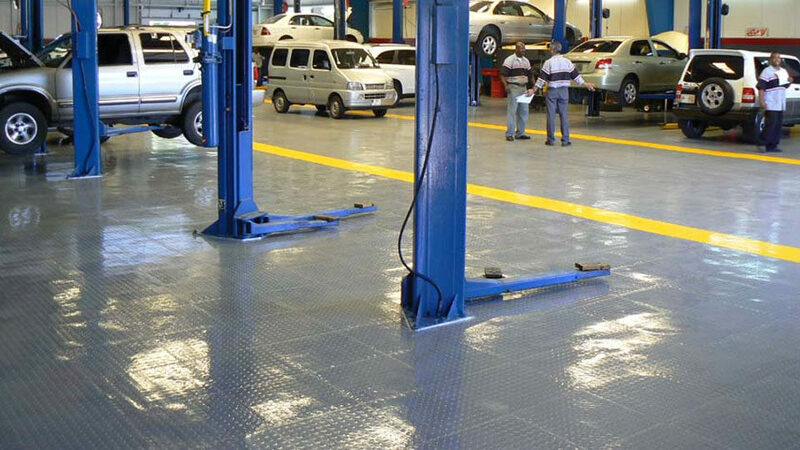 Our garage floor tiles are made from solid premium PVC and guaranteed for life. They’re virtually indestructible, sound deadening and won’t spread or break apart like hollow core tiles. 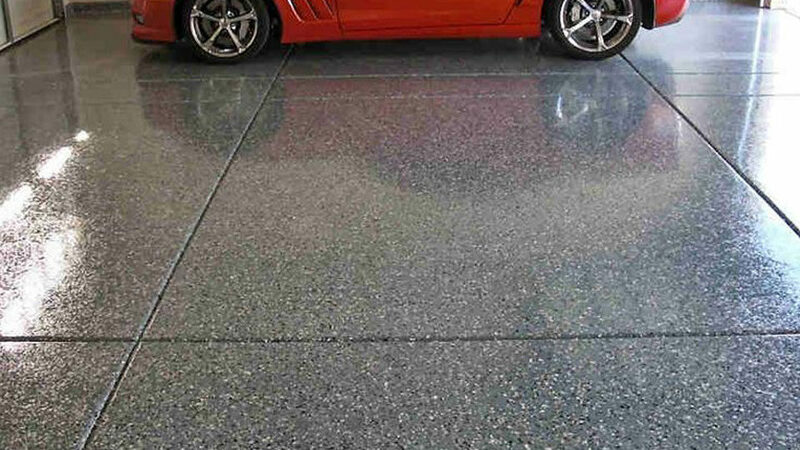 Other garage tiles may be more popular due to intense marketing but none can compare to the quality and durability of our Armor Tiles. We make what we think are the best roof coatings, they are not water based as most other coatings are. These are industrial grade coatings that we make to solve problems on just about any type of roof. If you want a new roof surface that will last 15-20 years, you need to look into our roof coating line of products. When you do the research you’ll see there’s no comparison if you’re looking for long term leak stopping performance rather than just a low first cost price. 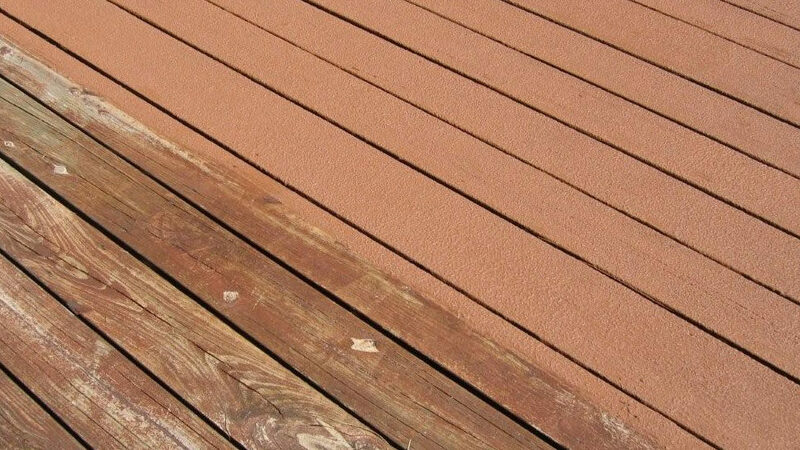 We’ve even come up with a solution to the yearly stripping and painting of your outdoor deck. Our ArmorGarage Renew It coating will restore your worn out deck into a beautiful finished surface that will look better than it was brand new. Plus, it won’t peel or chip off like every other deck paint does. Visit our website www.armorgarage.com to see these and other great products for your home, business or factory. If you don’t see what you need or are unsure what to buy, we are available 7 days a week via email or phone. We also offer unlimited expert tech support on all our products. We want to make sure you get the best results so you don’t have to do your project a second or third time!